I was joined by colleagues from EFI Africa, MicroLead and POWER Africa – three incredible Learning Lab programs – all with experience in empowering the un- and underbanked to understand and safely use financial services. Their projects had a clear vision of client empowerment from the outset, used user-centric approaches to deeply understand their target clients’ financial needs, behaviour and contexts, and their solutions engaged multiple stakeholders for lasting results. Angela Kalambo from CRS shared how innovations to savings group facilitation significantly increased participation levels for the poorest and most financially excluded in the Expanding Financial Inclusion in Africa Project(EFI Africa). 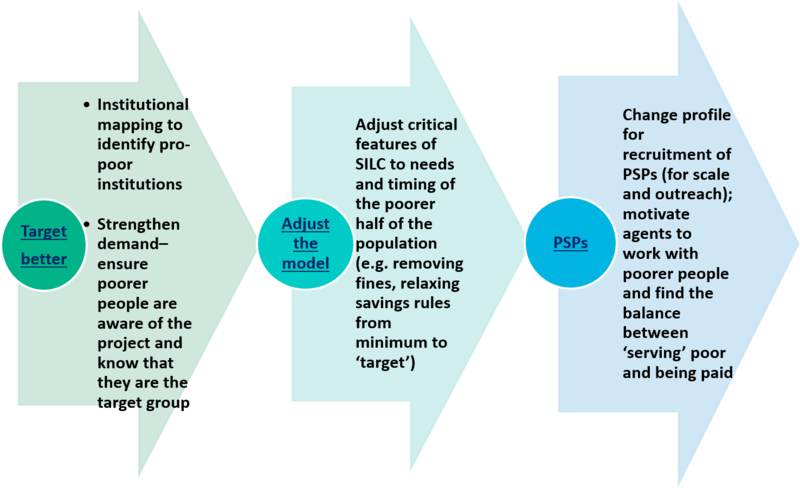 EFI created the ‘Pro-Poor Package’ (PPP), a unique approach which included critical adjustments to their traditional Savings and Internal Lending Communities (SILC) methodology that targeted the people from the poorer half of their communities. ensuring that there is no pressure to take loans, “forced borrowing”. 543,000 households were enrolled into SILC groups across all four project countries (Uganda,Burkina Faso, Senegal and Zambia). While the impact of the PPP is not clear, the poverty outreach by the program has been highly successful. 67% of members are in the bottom two poverty quartiles of their community, as measured by the Progress out of Poverty Index (PPI®) and this is the case in 75% of the villages reached. As groups are formed over time, they include progressively poorer members. In addition, their productive assets have increased, their financial management skills have improved, and there is greater autonomy and economic decision-making power for women within the households. Find out more about the findings and EFI Africa. 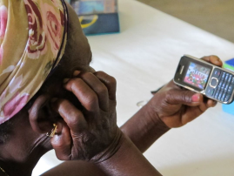 Hermann Messan from MicroLead shared how leveraging digital technologies and implementing multi-faceted delivery strategies for financial education are empowering women in Burkina Faso. In partnership with Freedom from Hunger (now Grameen Foundation as the Technical Service Provider), MicroLead worked with two financial service providers – RCPB, the oldest cooperative network of savings and credit institutions in the country and SOFIPE, a microfinance institution – to develop effective formal financial services that responded to the needs of local savings groups members, most of whom are women. Through a baseline assessment, the project identified key barriers to women’s economic empowerment. On the demand side, not surprisingly, rural women have low levels of access to formal finance which coupled with low levels of literacy and numeracy prevent them from achieving their economic potential. On the supply side, financial service providers had not yet developed a solid business case for extending services to savings groups. To mitigate these barriers, MicroLead and its’ partners used human-centric design tools to develop a range of solutions. They developed an innovative approach to providing services to savings groups members by training and deploying their own staff to supervise community agents responsible for forming groups and building linkages. In parallel, they adapted and digitized Freedom from Hunger’s successful financial education training and developed simpler, shorter modules designed for low literacy users. These were delivered by community agents on their cell phones which maximized the reach, effectiveness, and consistency while lowering the cost of the financial education component of service provision. They also offered the ability to open and access accounts in the field through the deployment of proprietary agent network (RCPB) and integration with mobile network operators (MNOs) (Orange and SOFIPE) to leverage agent networks. While not without challenges (low engagement of MNO and connectivity issues in rural areas), over 80,000 women were reached within 2 years by the FSPs. About 40% of the women reached opened accounts, 99% of these accounts are active, and FSPs expanded their operation areas by opening branches in previously unserved areas. Find out more about MicroLead. Djo Marius from CARE shared how POWER Africa was able to collect high quality data through intentional analysis and feedback loops in Cote d’Ivoire and Burundi to provide insights that contributed to their community–centered approach to actively address the negative effects of gender norms on women’s economic empowerment. The wider community needed to be engaged to encourage structural change. Direct family support is crucial to equal access to financial services and products. Linkage to banks provides the security women and adolescents girls need to protect their assets. Targeted engagement and sensitization of community leaders to advocate gender equality. Identification of male champions to be change agents in their communities. Working directly with families and parents to facilitate community acceptance of girls running businesses, controlling their profits and assets, and increasing levels of mobility. Sixteen new gender committees in Cote d’Ivoire to actively work with communities to respond to and resolve gender issues. 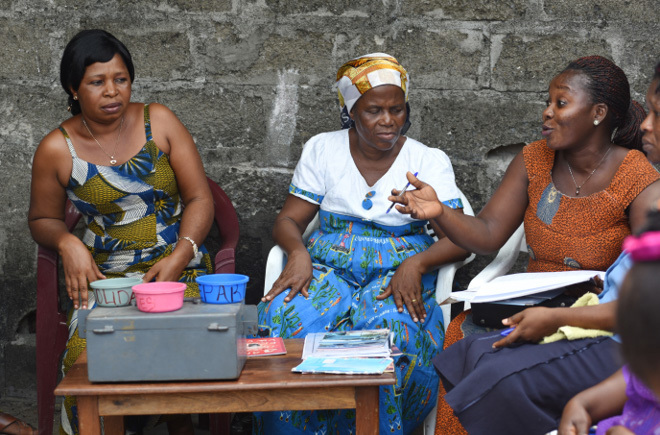 Through gender committees and male champions in Côte d’Ivoire, 98,000 VSLA members were trained on the equal division of labor, gender-equal decision making and integrating women into the economy. POWER Africa’s approach had a significant impact in both Burundi and Cote d’Ivoire, with 157 community leaders changing policies or engaging further with gender barriers to financial access, women being accepted onto 4 different community leadership councils for the first time and 193 male champions acting as embedded support for widening catchment areas. This coincided with rapid business growth among women in both countries and increasing uptake of bank accounts. Find out more about POWER Africa. As these three programs demonstrate, by designing innovative interventions that better respond to poor and vulnerable people’s context, financial needs and activities, we can remove roadblocks that prevent them from effectively accessing and utilizing financial services. Watch this space as we will continue to share insights and lessons from the MasterCard Foundation Savings Learning Lab partners’ work in financial empowerment.